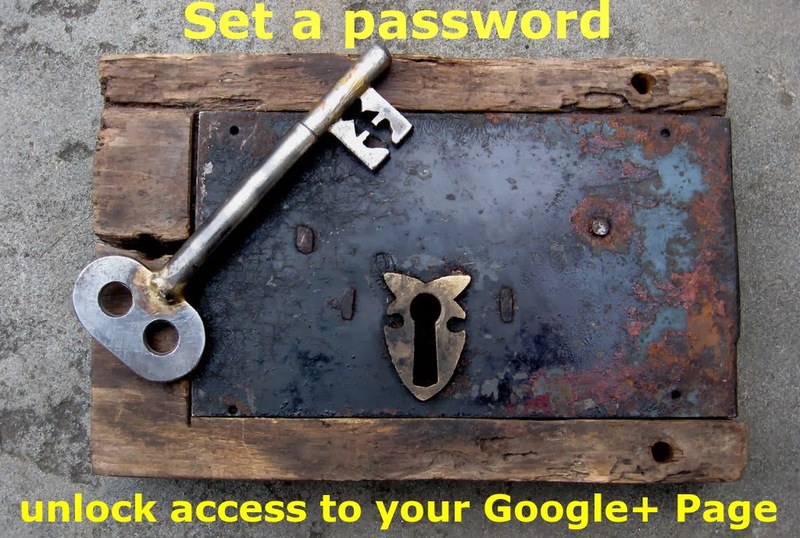 Have you set a password for your Google+ Page? If your primary identity is your Google+ Page and YouTube channel name, rather than your personal "real name" Google+ Profile, setting a password for your Page lets you use that identity across the internet. What you may not realize is that a Google+ Page has it's own special limited Google account that is owned and managed by your primary Google account. 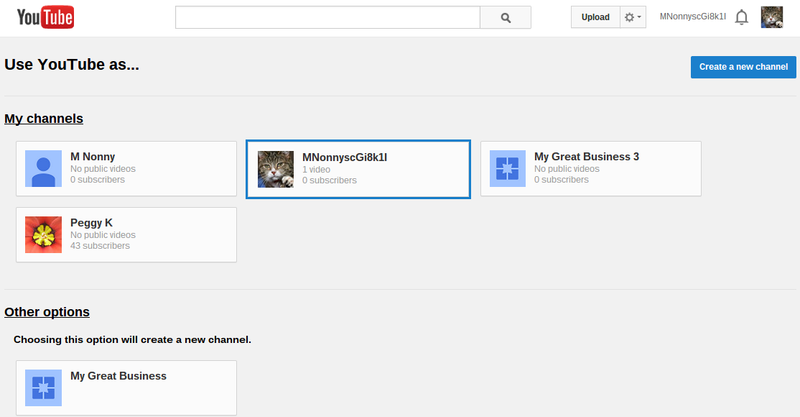 And when your YouTube channel is connected to a Google+ Page, the channel is moved to that Page's Google account. 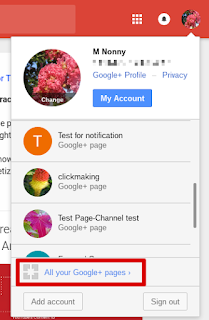 If you set a password for your Google+ Page's account, you can use it to sign into Google directly, allowing you to act on the internet with your Google+ Page identity. 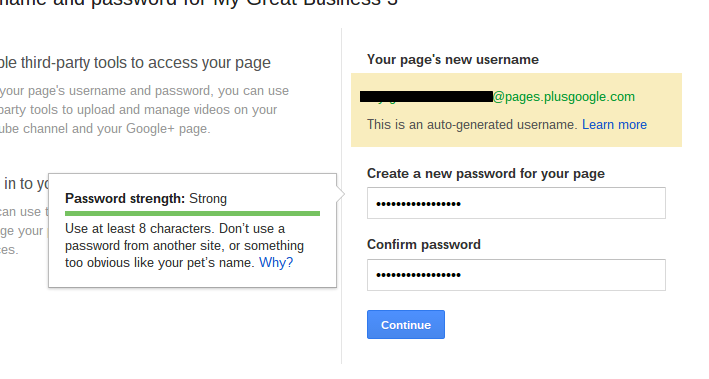 Why create a password for your Google+ Page? your Google+ Page's Google account is dependent on the Google account that "owns" it. If you delete the owner Google account, your Google+ Page and YouTube channel will be deleted as well. 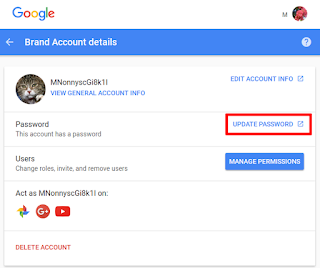 Adding a password to your Google+ Page unlocks a number of features, however in order to fully manage and use your Google+ Page, you will need to maintain access to the Google account that is the Owner of that Page. If you have a YouTube channel connected to your Google+ Page, you can start from your YouTube channel's advanced settings instead (www.youtube.com/account_advanced). See below for details. 1. Sign into Google+ with the email username for the account that owns your Google+ Page. This will usually be the Google+ Profile that created the Google+ Page. If you have a Brand Page, rather than a Local Business Location, click the Brand Pages tab at the top of the page. Make sure you are viewing in Grid view, rather than List view. Then find your Page and click View Page, which will open the Page on Google+ with you acting as manager. 5. 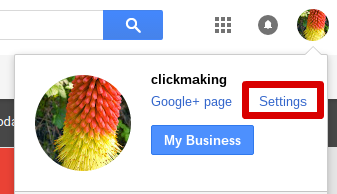 Click your Google+ Page's profile image in the upper right corner, and select "Settings". 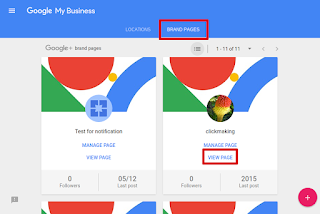 Make sure the correct Google+ Page name is showing when you do that. Or click Settings on the left menu. Make sure you are using the "Classic" Google+ interface. If you are using the "New" Google+ interface, you will see the option to switch back to Classic. If you do not see the "Third-party tools" section, you may be signed in as the Manager, rather than as the Owner of the Google+ Page. That means you need to switch to the Owner's Google account. Last month Google introduced Brand Account Settings that can be accessed through your Google account settings, rather than Google My business. 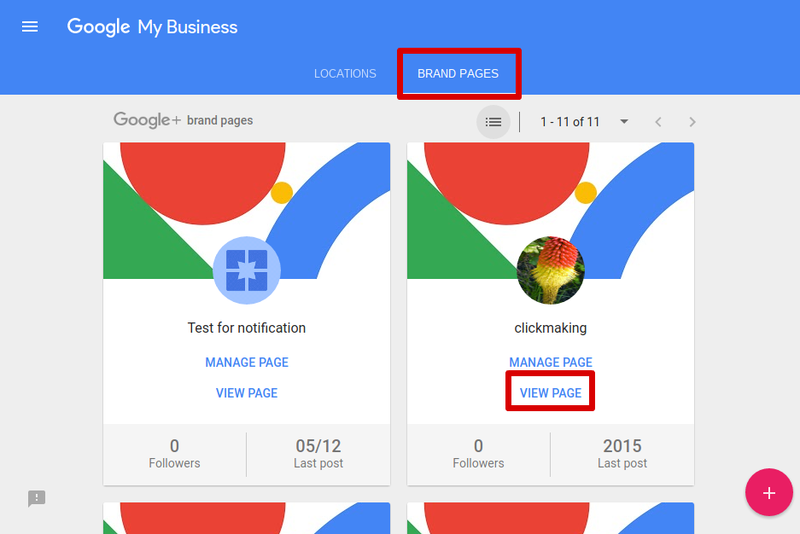 Your Google+ Page is on a Brand Account. 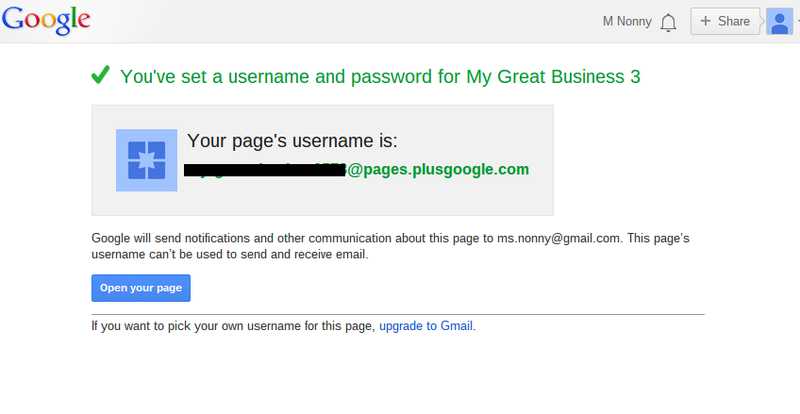 You can also add a password by accessing your Google+ Page settings from its Brand Account Details page. At this point you will be at the equivalent of Step 5 above. Open the Page's Google+ Settings, make sure you are using the "Classic" interface, then scroll down to Third-Party Tools to set your password. 1. Sign into YouTube with the email and password for the account that owns or manages your Google+ Page and its channel. 4. Click "Change or add password"
At this point you will be at the equivalent of Step 9 above. Enter your current YouTube/Google+ username and password, then enter your desired password for the Google+ Page. Once you have created your Google+ Page's password, you should see the option to add a Gmail email to your account. 1. From the page confirming that a password is set, click the option to upgrade to Gmail. 3. On the Gmail setup page, confirm that the "current email address" for the account is your @pages.plusgoogle.com username. You want to be sure that you are adding the Gmail email to the correct account! Once a Gmail account is created it cannot be transferred to a different Google account and the Gmail username cannot be reused. 4. Enter your desired new Gmail email address. You will likely need to enter a mobile phone number to complete the Gmail account creation process. Note that the new Gmail email will become the primary email address for your Google+ Page. 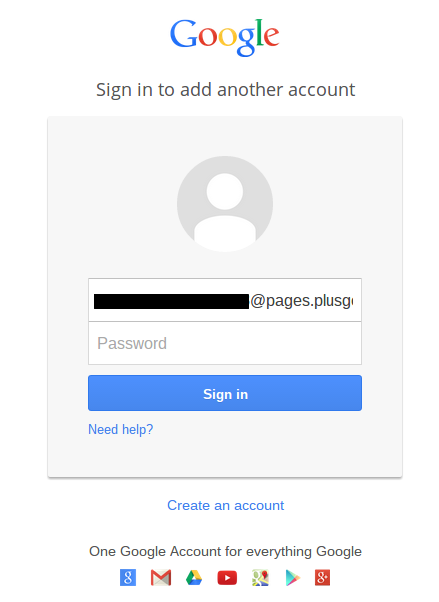 The @pages.plusgoogle.com address will become an alternate email address on this account, and you'll still be able to sign in with it. Why do I get an error message when I try to add a password? 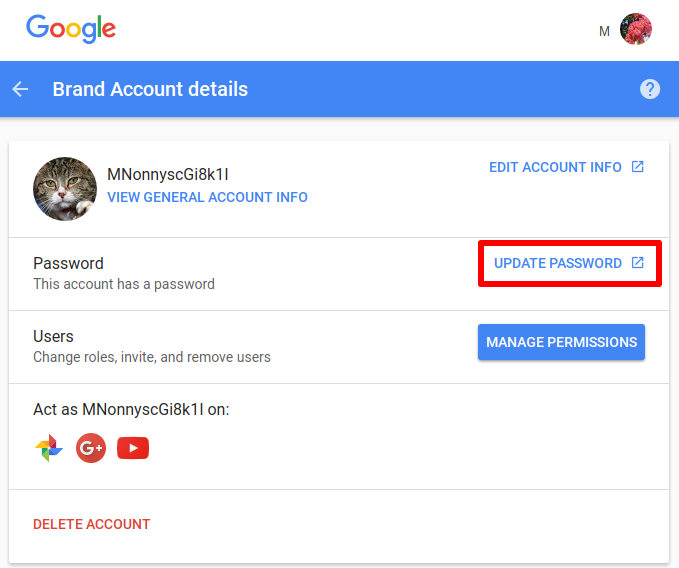 There have been reports that transferring ownership of the Google+ Page to a non-Google Apps account will allow you to subsequently add a password to the Page, but there is no guarantee that will work. If you can't set a password because you are too young, the option to create a password should appear after you turn 18. Photo: Lock with replica key bell tower door Llanbradach church by Andrew King on Flickr, shared under a CC-By-SA 2.0 License. Text added by me. Note: article updated 6/24/14 with links to the new Google My Business help center. Thank you so much! This had been bugging me for quite some time! Roo: thanks for pointing out the help center article redirects. Things are in a bit of flux now, and I should update the article to reflect it. 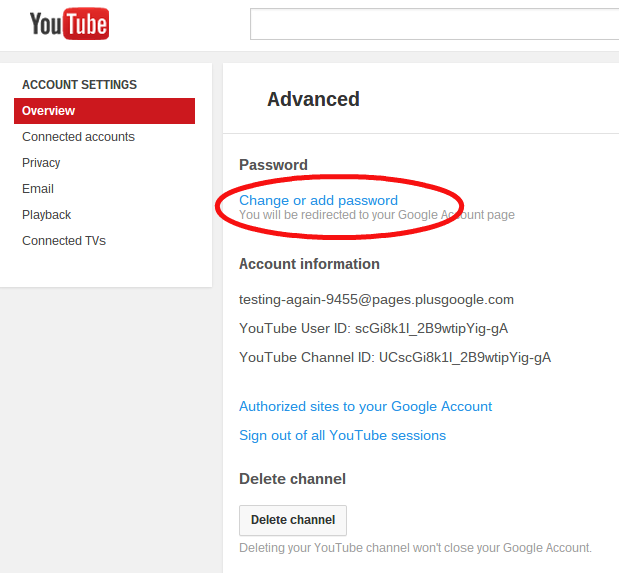 If you have a YouTube channel connected to your Page, the easiest way to add a password is from your channels Settings > Advanced (www.youtube.com/account_advanced). If you don't have a YouTube channel, you can still add a password starting from the Page's Google+ Settings, as long as you are using the "Classic", rather than the "New" Google+ interface. Roo: I've updated the article with current screenshots (and confirmed it all still works). I believe that by going to GMail while signed in to the Page account, I actually got an option to assign a 'regular' email address as username to it as well. Might be useful look into and to note as well. By completing this form, you're upgrading to Gmail, email from Google. Gmail works on any device, blocks spam, and much more. You'll be able to sign in using your new Gmail address, which will become the primary email address associated with this account. We'll send account updates, invitations, and other notifications to your Gmail address. name-12345@pages.plusgoogle.com will become an alternate email address on this account, and you'll still be able to sign in with it. 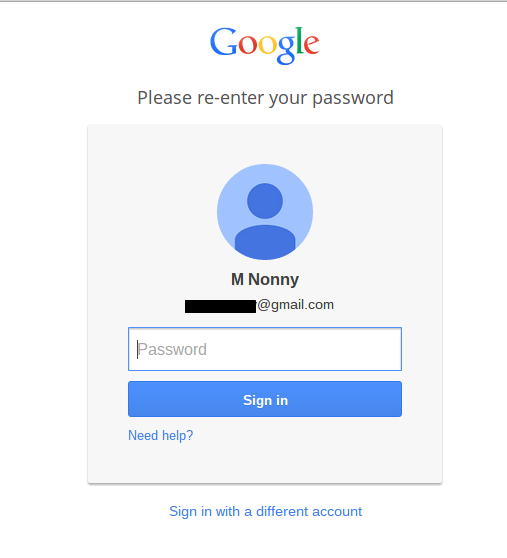 If you prefer, you can create a new Google Account with email, and leave this one as-is." Oh, never mind... I see that was already on the page itself as optional step >< I guess I must've missed that the first time I read it!